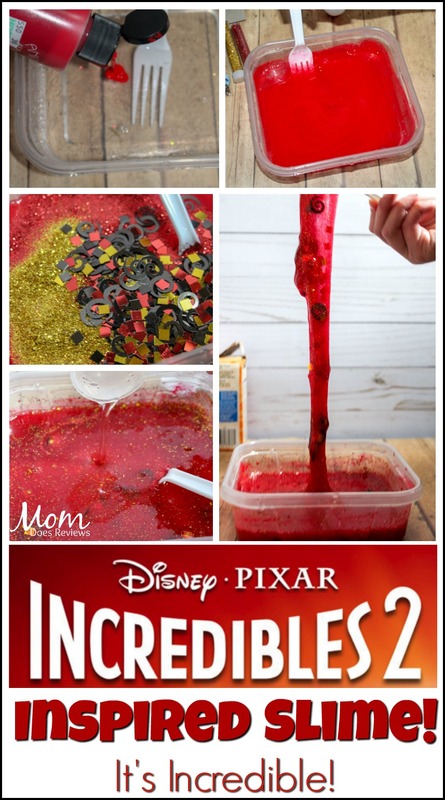 It’s not a stretch to say your kids will LOVE this slime! 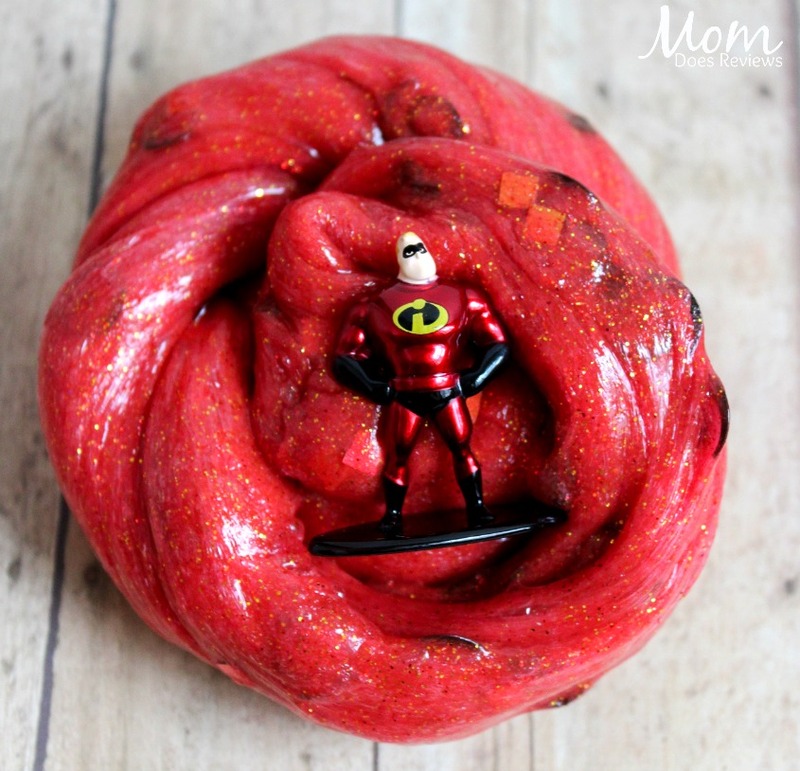 After waiting 14 years for these Supers to come back, Incredibles 2 is a huge hit with everyone. 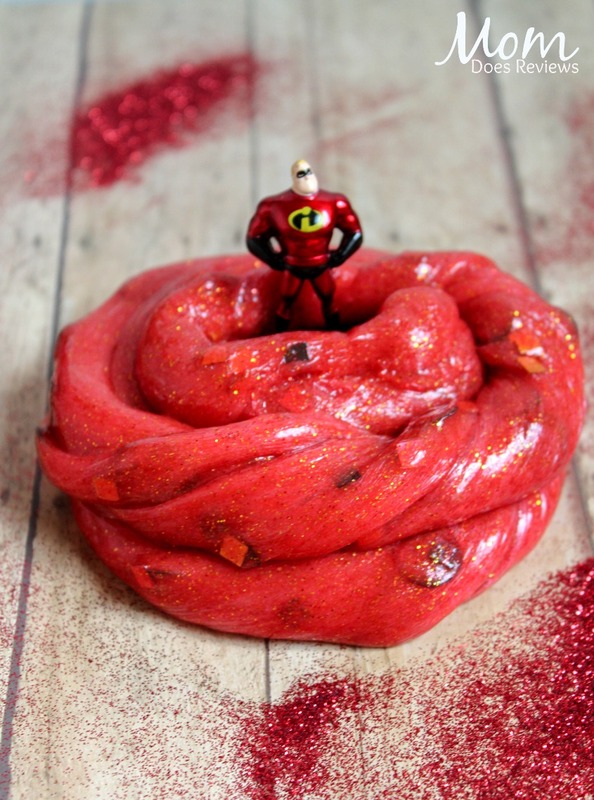 This slime will be a favorite! 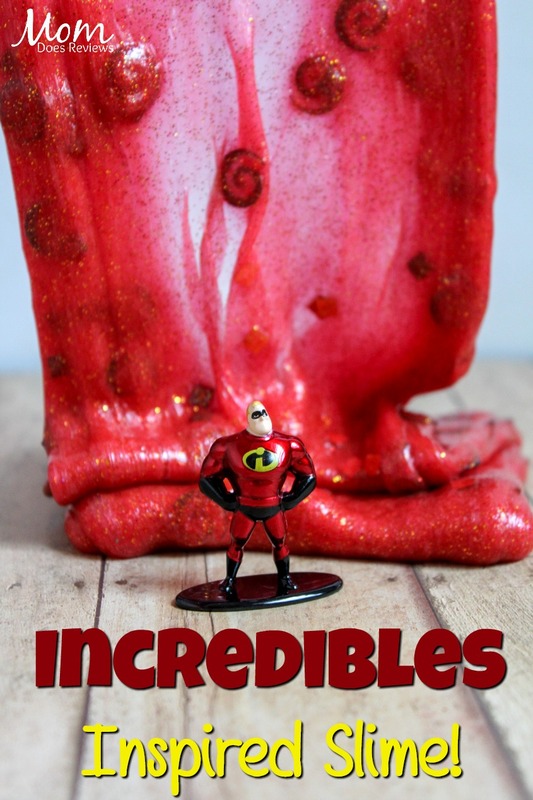 Be sure to get all the Incredibles 2 Mini Figures to use with this Incredible Slime! Add in about 1 tbsp of red paint. Stir until incorporated. Next, pour in your glitter! Red and gold are perfect Incredible colors. Finally, fill with confetti! You can add more confetti at the end if you would like. We used two different kinds of confetti in ours. The pack comes with several ‘types’ of Incredible confetti! If you haven’t seen the movie yet, it’s out on DVD! Read more about it HERE!